Scientists, photographers and medical illustrators from around the world will have the opportunity to share their scientific research, discoveries and observations of natural wonders with the launch of the collection phase of an international images exhibition scheduled for Rochester Institute of Technology in 2019. 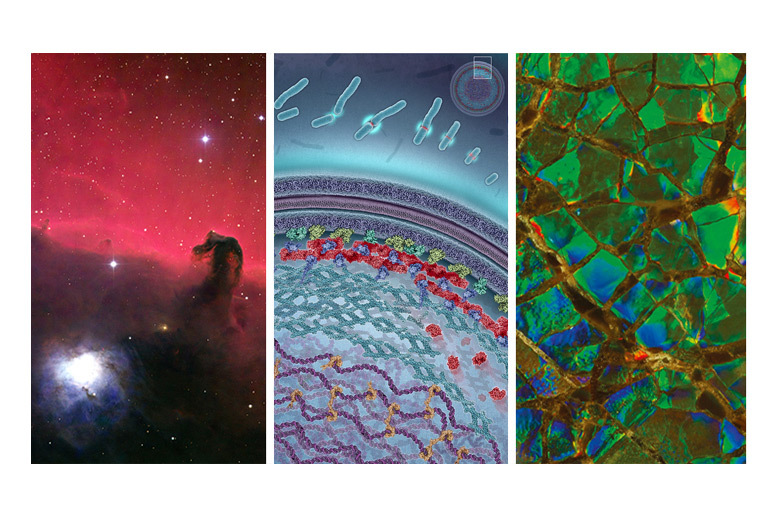 IFS 3 invites both new and recognized image makers who reveal science in photographs and illustrations to participate in this latest collection of work. The exhibition’s goal is to produce “a traveling exposition that features extraordinary examples of still and moving images, animations and illustrations produced to explore or document a scientific process,” said Kinsman, an assistant professor of photographic sciences at RIT and a third organizer. Seven international judges will curate the final collection of images, videos and illustrations, Kinsman noted. Images can be submitted through Dec. 31. IFS 3 has a number of sponsors helping provide support for the project using technology to solicit, judge, invite and display the technical excellence and creativity needed to make such photographs and illustrations. In addition to RIT and Johns Hopkins University, sponsors include Carl Zeiss Microscopy, headquartered in Jena, Germany; RIT’s Chester F. Carlson Center for Imaging Science; SPAS; RIT’s School of Art; Science Source Images in New York City; and Service Photo in Baltimore, Md.